Da Grahynd Music News: Who is lethal ? Where did he come from ? Lethal Corleone is a Southern born rapper hailing from the streets of Savannah, Georgia. Although Lethal was born in Charleston, South Carolina he has spent the vast majority of his life in Georgia. These southern roots mixed with a universal sound, has given this artist a deadly combination. This combination gave partiality to his name, and Lethal was created. Lethal wrote his first rap at the age of 12, and began recording in studios at the age of 16. This early beginning has molded him into a seasoned artist. Lethal started with a group made up of family members and close friends known as C.E.P. His first underground release came at the age of 18, and gained him significant notoriety from his peers on the local scene. After a long awaited interval between his follow up, Lethal seems to be more focused than ever. His sophomore mix tape entitled Time Served enjoyed only relative success, but after being gone for so long he seems to be regaining his form. 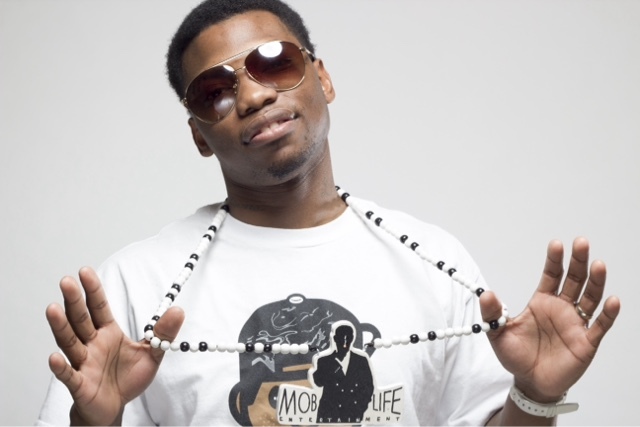 Lethal recently teamed up to begin a label called Mob Life Entertainment with his fellow C.E.P. group mate Nino Black. You may have seen him on YouTube videos of various local artists in Savannah called the C-Port ciphers. On these videos Lethal clearly demonstrates versatility and a ferocious flow. He also shot his first video for his highly anticipated single “Take Off”. Now trying to capitalize off of the momentum gained, he is working to release a project that will ensure him a top slot as one of the best. The future seems to be much more promising for the Savannah native.